Because we live in Ljubljana, mecca of surfing, with more world class waves in one location, than anywhere on the planet. And because all the time we don't surf, we eat greasy fries and drive around with big wasteful pickup trucks. 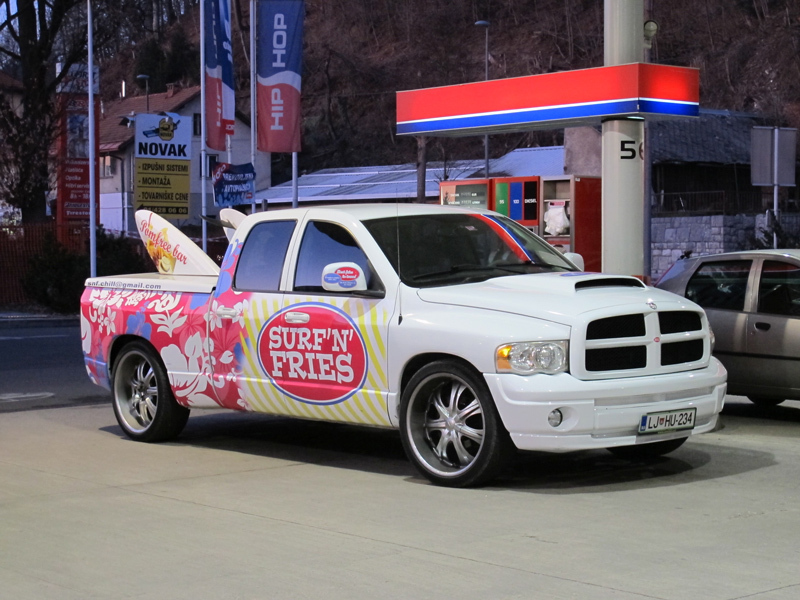 Yep, that's us, almighty Ljubljana surfers. Some people shouldn't be allowed to think. Period. But at least they make my day with their stupidity. P.S. Even the boards in the back are fake. They probably need place for grease to feed all those masses of hungry surfers.